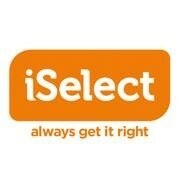 As Australia’s Life Admin Store™, iSelect helps customers take care of some of life’s most important purchase decisions. They are proud of the service they provide to the millions of Australians who seek expert advice each year. With plenty of partners and hundreds of policies, plans and products, iSelect gives customers the confidence to make the right call on the things that matter most. Their dedicated departments cover all of life’s essentials, from choosing the right health insurance, life insurance, obtaining a car insurance quote to a home loan comparison. iSelect can help customers with electricity providers, broadband connections, and even take care of travel insurance.